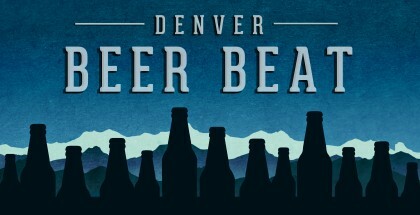 If there’s one word to describe the Denver area beer community, it has to be collaboration. Competition here is defined not by diminishing or undermining other breweries and their successes, but instead by using those successes as inspiration and motivation to be better, more creative and more innovative. 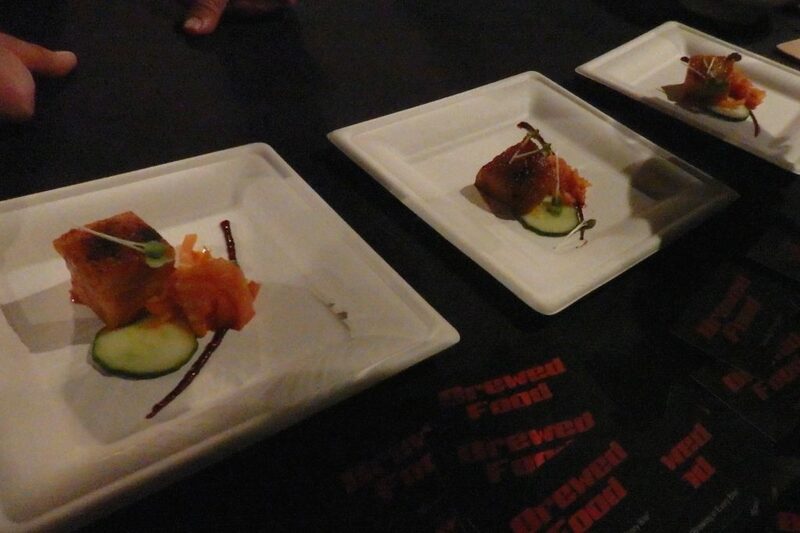 Maybe no event is a better example of this spirit than Chef & Brew, which welcomed hundreds of attendees who battled through the cold to the EXDO center Nov 17 for its 5th annual food and beer pairing extravaganza. 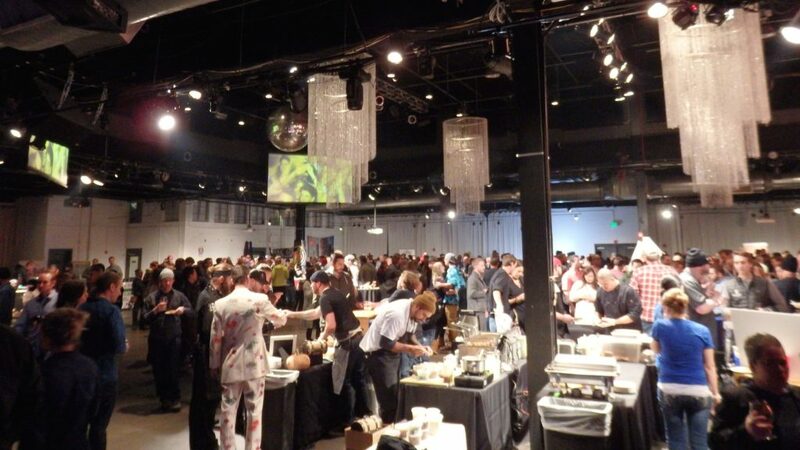 More than 20 pairs of the top chefs and brewers in Denver presented their best food and beer offerings at the event. Some teams created one knockout pairing, while others collaborated on two—usually one sweet and one savory. The genuine enthusiasm and excitement for this event was palpable in every participant we spoke to, and we managed to chat with the creators of some of our favorite dishes and sips to learn just how ideas for an event like this come together. Scott Witsoe, brewer and owner of Wit’s End Brewing Company, shared how he and Chef Nicole of Blueprint Bar came up with two pairings: Bananas Foster Lumpia with the Deerhammer-aged Kitchen Sink rye porter, and a sausage made with peated malt flour, berliner weisse sauerkraut and mustard paired with Wit’s End’s Miami Berliner Vice. After the 2012 Chef & Brew event Cummings dug in, experimenting with and working to understand grains, wort, spent grains, hops, yeast, and especially fermentation. Fast forward four years and he’s back at Chef & Brew, bringing the full force of the Brewed Food approach to the table with Tender Belly pork bulgogi, kimchi fermented with eight different strains of wild yeast, and fermented blueberry Sriracha (made from a blend of two different blueberry fermentations and two differently aged Srirachas, naturally). 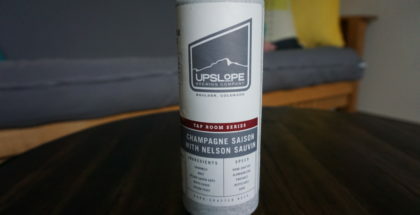 This, paired with Spangalang Brewery‘s Bon Voyage Trippel—a blend of fresh Trippel and Trippel aged in French red wine barrels with Brettanomyces created specifically for the Chef & Brew pairing—was one of the highlights of the evening. 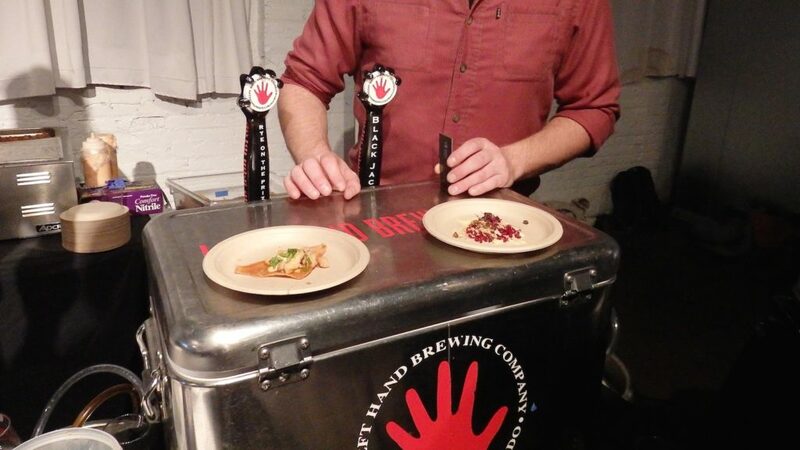 After enjoying unlimited samples of both bites and sips, guests cast their votes for their favorite pairing of the night, sending Strange Craft Beer Company and Mizuna home with the People’s Choice Award. A panel of judges, including Justin de la Rosa of The Denver Post, Elizabeth Woessner of Dining Out Magazine, Lori Midson of Denver Life Magazine, Mark Antonation of Westword, Steve Kurowski of the Colorado Brewer’s Guild, and Chef Brandon Foster of Project Angel Heart, also weighed in, awarding honors for best standalone dish, best standalone beer and best pairing. 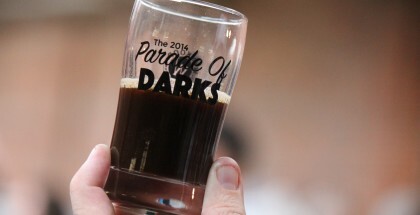 Great Divide Brewing Company won the best beer award for a dark American sour ale aged in wine barrels. 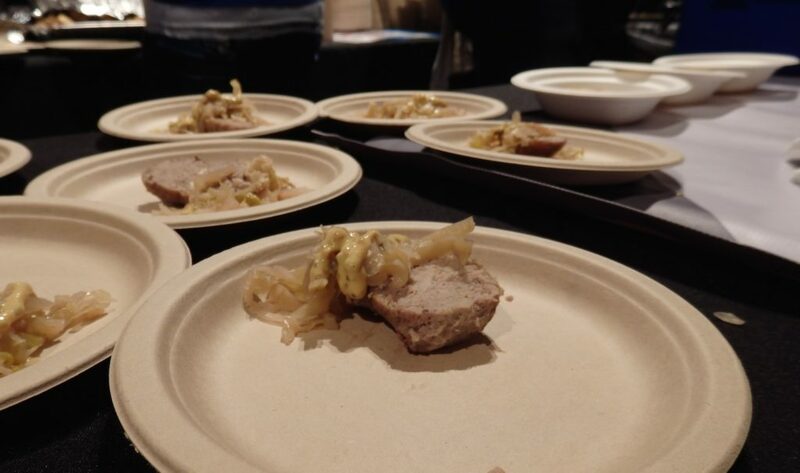 Chef Ryan Gorby of Cho77 took home the award for best dish for his Thai-style pork temple. And the pairing trophy went to Pub17 (located in the Grand Hyatt downtown) and River North Brewery for spicy shrimp with green curry panna cotta paired with an American IPA. Says River North brewer Patrick Annesty, “Chef & Brew is one of my favorite events of the year—my favorite event in Denver. I love that this is just as much about the food as the beer. It has a different level of appreciation for what you can do with flavors, not just food and not just beer, but food and beer together.” Couldn’t have said it better ourselves.